[SatNews] "Both companies bring unique capabilities to add considerable specialized experience and will add to the overall strength..."
The Satellite Industry Association (SIA) today announced that iDirect Government Technologies (iGT) and Glowlink Communications Technology, Inc. have joined the Association. SIA is a full-service trade association that represents commercial satellite companies as the unified voice of the U.S. satellite industry on policy, regulatory, and legislative issues affecting the satellite business. “We firmly believe that united with SIA, we will build on the past to form a strong satellite industry future,” said John Ratigan, iGT President. “SIA does an effective job of informing, advocating for, and educating industry members and influencers about important satcom industry issues. We commend SIA for its efforts in supporting the satcom industry and its commitment to meet the needs of its members.” iDirect Government Technologies (iGT), a wholly owned subsidiary of VT iDirect, Inc., delivers secure satellite-based voice, video and data applications with anytime and anywhere connectivity in the air, at sea and on land. iGT’s satellite IP solutions are used for critical communications ranging from force protection, logistics, situational awareness, disaster recovery and emergency response with more than 15 years of global satellite communications experience. iGT is headquartered in Herndon, Virginia. “As a new member of SIA, Glowlink is excited for the opportunity to lend its innovative spirit and technical expertise in the communications area to SIA, and bolster their representation of the satellite industry,” said Bob Estus, Vice President of Operations at Glowlink. Based in the Silicon Valley, California, Glowlink Communications Technology, Inc. provides equipment and services that improve the performance of broadband communications for commercial and government markets. 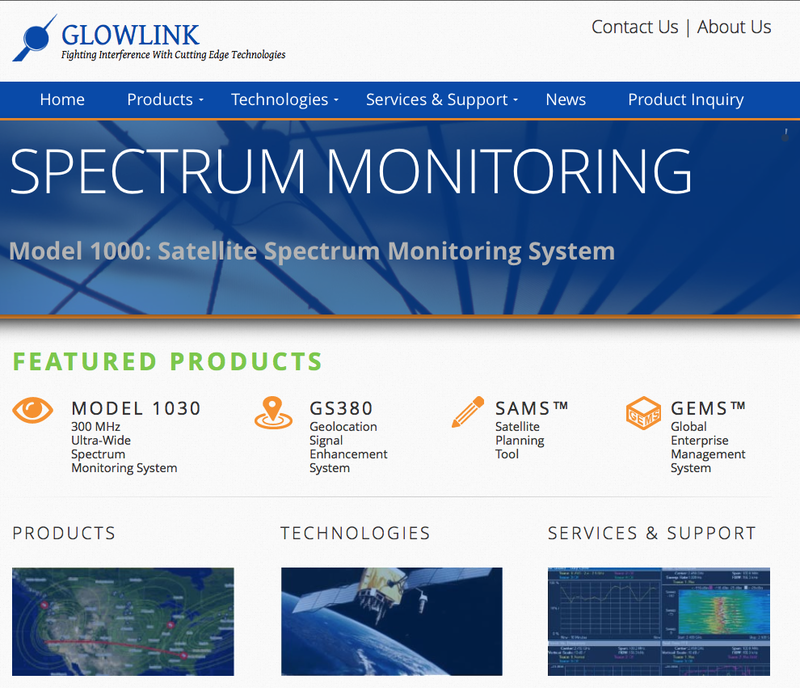 Glowlink is a recognized industry leader of innovative solutions for such applications as carrier spectrum monitoring and the prevention, detection, geolocation and removal of interferences from communications channels. Glowlink can be contacted at sales@glowlink.com for addition information on how to improve the quality and integrity of fixed and mobile broadband communications, both satellite and non-satellite based. SIA is a U.S.-based trade association providing worldwide representation of the leading satellite operators, service providers, manufacturers, launch services providers, and ground equipment suppliers. Since its creation more than eighteen years ago, SIA has advocated for the unified voice of the U.S. satellite industry on policy, regulatory, and legislative issues affecting the satellite business. For more information. Technologies, Inc.; Encompass Government Solutions; Eutelsat America Corp.; Exelis Inc.; Globecomm Systems, Inc.; Glowlink Communications Technology, Inc.; iDirect Government Technologies; Inmarsat, Inc.; Marshall Communications Corporation. ; MTN Government; NewSat America, Inc.; O3b Networks; Orbital Sciences Corporation; Panasonic Avionics Corporation; Raytheon Space and Airborne Systems; Row 44, Inc.; Spacecom, Ltd.; Spacenet Inc.; TeleCommunication Systems, Inc.; Telesat Canada; The SI Organization, Inc.; TrustComm, Inc.; Ultisat, Inc.; ViaSat, Inc., and XTAR, LLC.